A senior executive for Forbes rich-lister Donald Trump has publicly expressed an interest in partnering with a local developer to deliver a Trump-branded hotel and apartment tower on the iconic Barangaroo site Sydney. "We'd love to partner with a local developer and put a Trump Tower on Barangaroo," Trump Hotel Collections' senior vice-president for global hotel development and acquisitions, Todd Wynne-Parry told the Australian Financial Review. But timing may prove to be the biggest obstacle to any major announcements in the short term. "Unfortunately, that [opportunity] is not quite available yet." he said. The likely player in any move by the Trump's is Australian gaming mogul James Packer. According to the AFR, the Trump's have also looked on Queensland's Gold Coast for premium hotel opportunities that command a minimum room rate of US$350 per night. "We need properties that can guarantee a US$350 minimum [nightly] room rate. You pretty much need to be able to walk out of your room onto your private beach front to guarantee that." Mr Wynne-Parry is in Australia for the Tourism and Transport Forum's 2013 Outlook Conference in Sydney where he will be presenting on how the Trump Collection - and Donald Trump's three children Don Jr, Ivanka and Eric - are looking to grow the next generation of luxury hotel guests. "They embody that generation which wants a more contemporary design edge on their luxury - not luxury that resembles their grandmother's parlour". 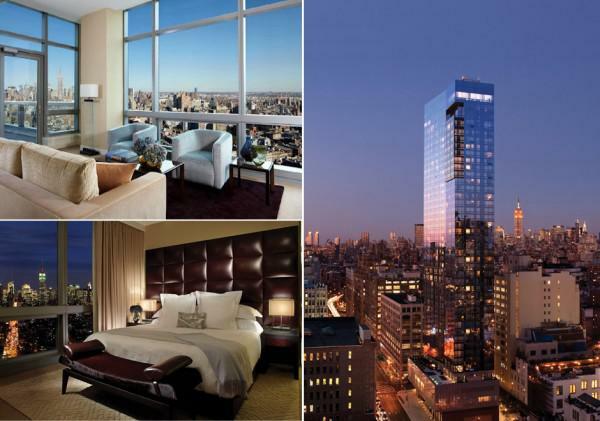 The Trump Hotel Collection has a suite of luxury offerings across the United States, including hotels in New York (above), Chicago, Las Vegas and Hawaii, as well as hotels in Toronto and Panama.